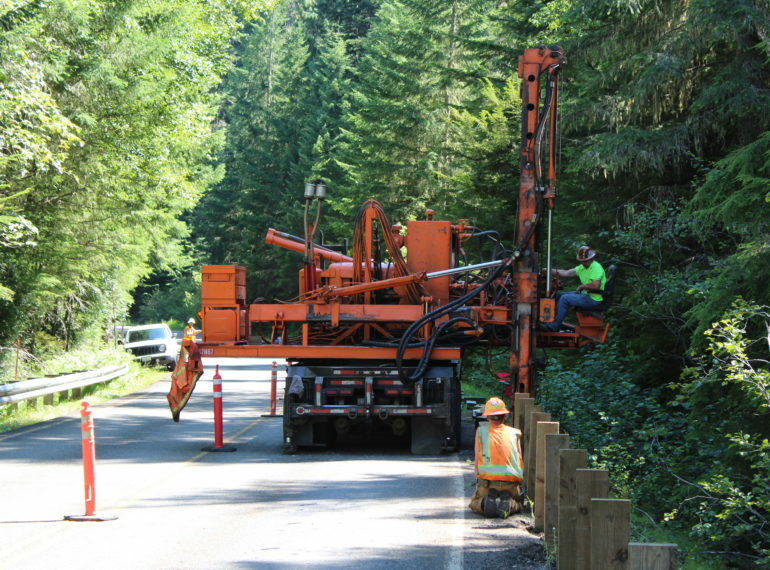 This multi-year contract provided for the improvement of approximately 6.1 miles of Crystal Mountain Boulevard East from SR-410 to Crystal Mountain Ski Area. As the name suggests, this is a remote site, with a steep, mountainous two-lane road. 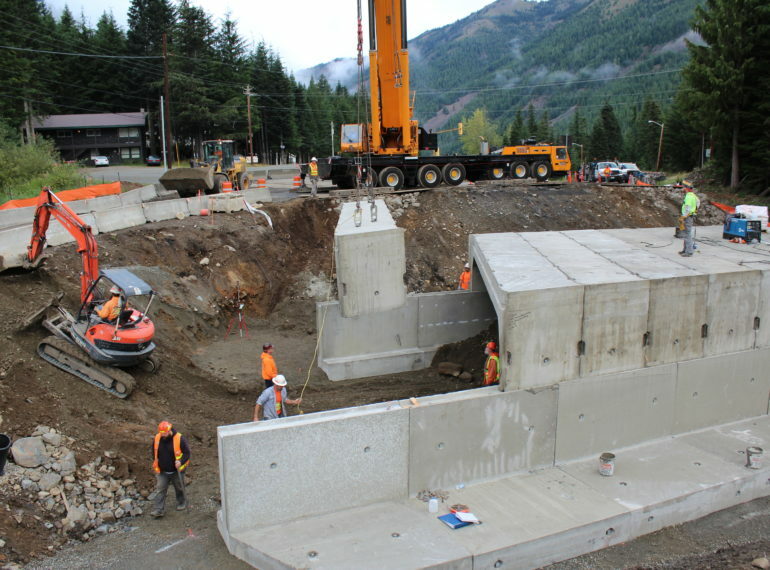 Significant culvert upgrades were required in three (3) locations with depths of up to 40 feet. Large 32 foot span precast concrete bridges were installed within tight permit windows each with numerous restrictions effecting the daytime hours and months of the year Strider was able to work. Throughout the project, Strider was able to keep traffic moving through the jobsite utilizing temporary bridges to span culvert installation areas. 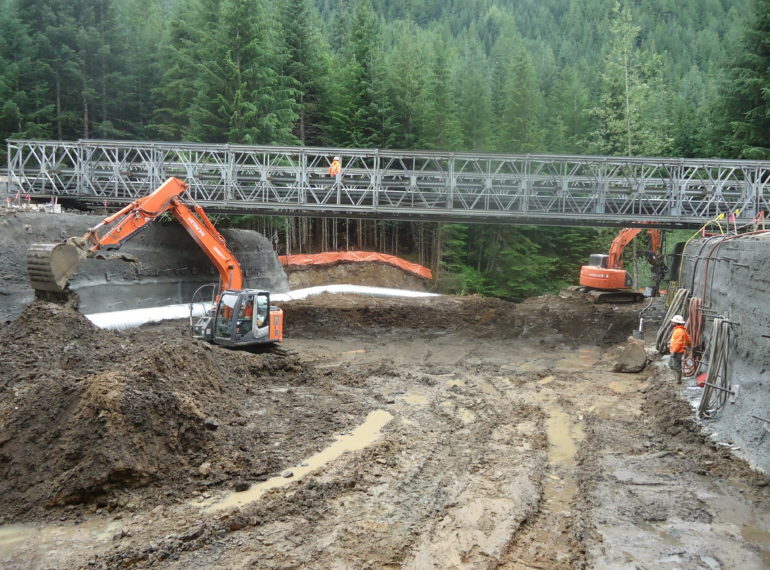 Silver Creek was also successfully bypassed in three (3) locations to accommodate the bridge structure installations. Extensive rock scaling and rockslide protection measures were installed including rock nails, rock bolts, dowels and over 32,000 square feet of mesh and netting systems. The finished roadway had over 33,000 tons of resurfacing with hot mix asphalt and replacement of 22,500 feet of existing guardrail. The project including streambed habitat restoration and roadway channelization was completed within the allotted time.